When Billionaires Run for Office, Do Taxpayers Pay a Price? Running for public office requires money—lots and lots of it. And this year’s gubernatorial race in Illinois has become one of the most expensive in history, pitting three billionaires against each other, along with a number of more middle-class candidates (one of whom is building a strong grassroots following). But for those in the nonprofit sector, the influence of candidate’s charitable donations, mostly coming prior to the current race for governor of Illinois, is not without its influence and its questions. Billionaire J.B. Pritzker is the wealthiest candidate ever to run for Illinois governor and likely the most philanthropic, laying claim to at least $152 million in donations in recent years to children’s programs, universities, hospitals, a state Holocaust museum and much more. Some of those donations have gone to causes tied to politicians and social activists now endorsing Pritzker’s campaign. Also, in late 2016, he gave $250,000 to the not-for-profit bankrolling restoration of the governor’s mansion in Springfield, the same residence Pritzker soon after began campaigning to occupy. 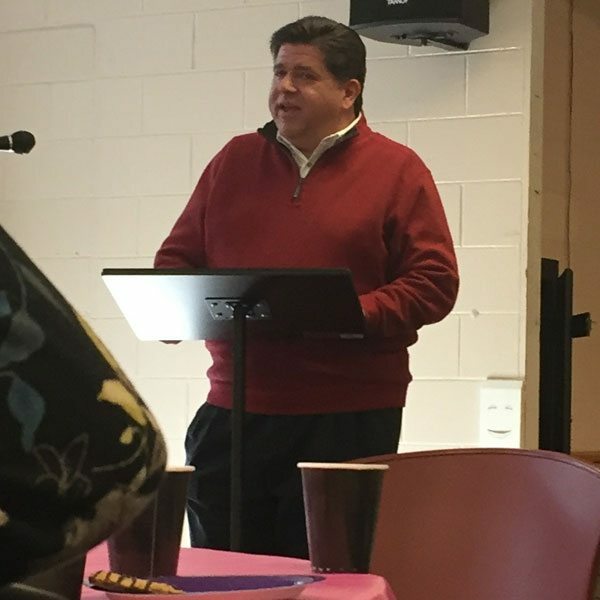 Pritzker’s largesse is a major selling point of his bid for governor. But a Better Government Association examination shows that charity comes at little real cost to the candidate himself but considerable expense to federal and state treasuries. Records show Pritzker has funded his charitable giving almost exclusively with inherited proceeds, much of it filtered through offshore tax havens and then deposited in a tax-exempt nonprofit he controls, the Pritzker Family Foundation. The result is that Pritzker’s philanthropy, and any accolades that go with it, have been bankrolled with what is essentially found money. He did little to earn the proceeds and paid no taxes on the bulk of it before giving it away. Pritzker’s record as a philanthropist is a central element in a campaign that asks Illinois voters to put him in charge of their tax money. In ads and speeches, he stresses how he has used his money to do good and make a difference. But the tax questions still nag. Much of the Pritzker charitable monies will not be taxable income. The Pritzker family money came from the ownership of the Hyatt hotel chain established by J.B.’s grandfather. It was his grandfather who set up the offshore accounts and trusts in the Bahamas in the names of his children and grandchildren, setting them up with funds that were not taxed, there or in the U.S. When J.B. moved funds directly from the Bahamas to his foundation, he was able to avoid paying taxes in the US on those funds. Slayen did not answer directly when asked whether Pritzker, his trusts, or his foundation paid taxes at any stage on the money doled out to charities after first passing through the Bahamas and his foundation. “All disbursements have followed all applicable tax laws,” Slayen said in an emailed statement. Slayen, however, did frame Pritzker’s actions as both a personal sacrifice and high-minded altruism. “Rather than take personal distributions from offshore trusts, J.B. made the decision to direct all distributions made from the trusts to be given to charity,” she said.